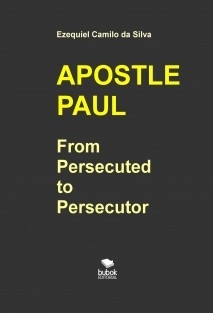 It is a unique privilege to continue with our modest contribution participating more this research, whose main source is the Bible, in which we seek the texts concerning this subject and did a filling with our comments and considerations about life, achievements and the works of Paul, this is considered the great apostle of Christ. So imbued more this task would first like to thank our wonderful God for giving us this precious opportunity that we are offered which is to present this work as something more than produced in the form of subsidies in the midst of so many writings on this theme surrounding this famous character. We hope that this work will be of some value and serve for those readers and researchers who would like to receive more information and considerations from another angle expressing a more different view of looking at the biblical historiography; that can add to their knowledge and meet interest or goal in search of these sure what elements will help you compose or extend the learnings that are part of the students wishes and all those interested in the study and research on the fascinating biblical themes!